Another thing in my house that I painted aqua (totally obsessed!)! 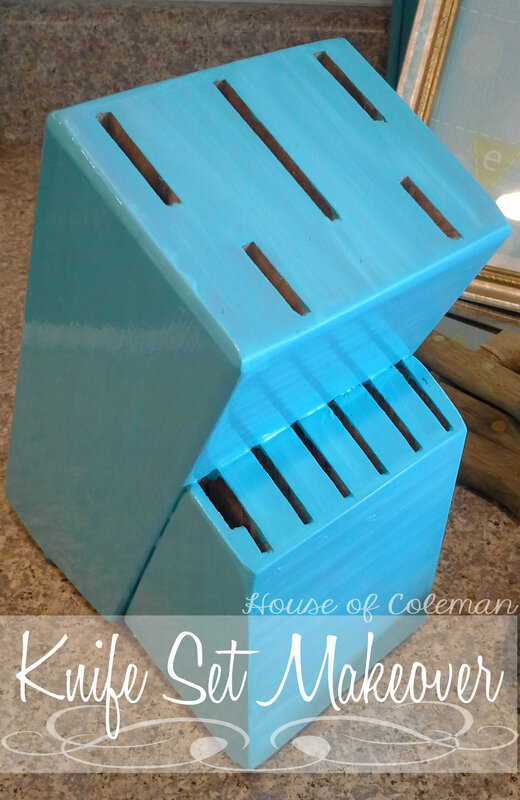 Ok so imagine a very old, very sad looking wooden knife holder because….well….I got so excited about painting that I completely forgot to take a before picture! Ugh! I actually painted my knife handles also…but didn’t quite think that through, after one run through the dishwasher the acrylic paint was missing! So don’t make the same mistake I did! 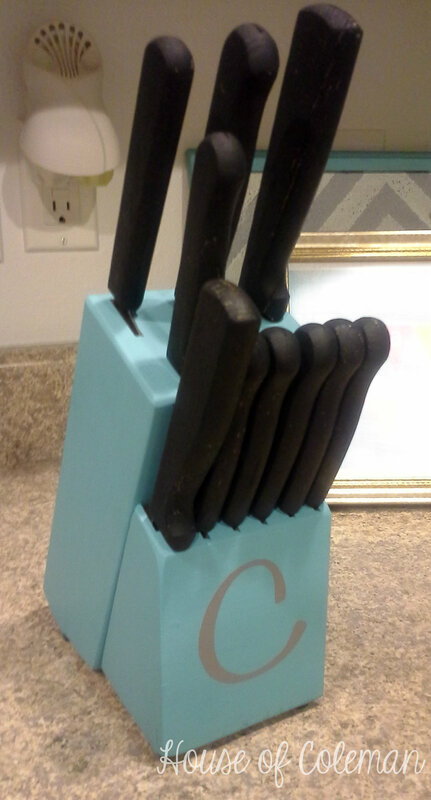 Use a more permanent paint if you are going to paint the knife handles! 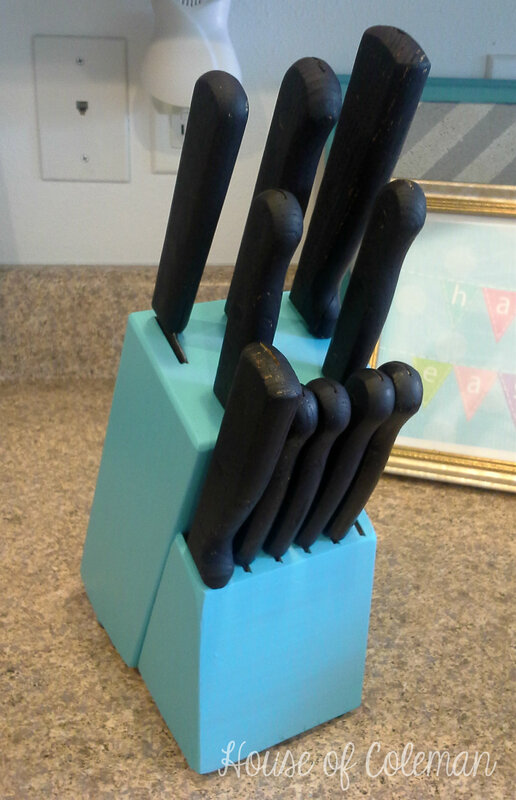 Do you have an ugly, old, sad looking knife holder? Well go give her a makeover! !